A region-wide survey into people’s views on our waterways shows how important our streams, rivers and lakes are to the community and environment. 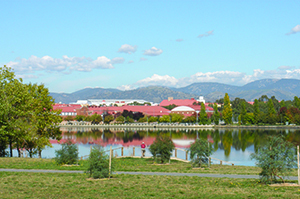 Over 4500 people participated in the ACT and Region Social Expectations of Waterways survey, undertaken by the University of Canberra on behalf of the ACT Government as part of the ACT Healthy Waterways Project. The findings show how important clean waterways are to individuals, communities and the region for agriculture, health, sport, recreation and wellbeing. In particular waterways are important to residents for recreation—be it in, on or around lakes, wetlands and rivers. The survey also found strong support for a range of actions to improve water quality including constructing wetlands, improving stormwater drains, planting more vegetation along waterways and increasing the number of hard waste, paint and oil depots so people don’t dump these pollutants down the drain. Social Expectations of Water - Summary. For a full copy of the report please email healthywaterways@act.gov.au.